What perfect timing for these unit studies! 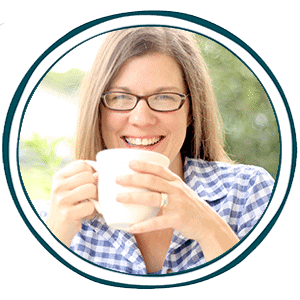 They will work for elementary or middle school students best, but are flexible for most grades. 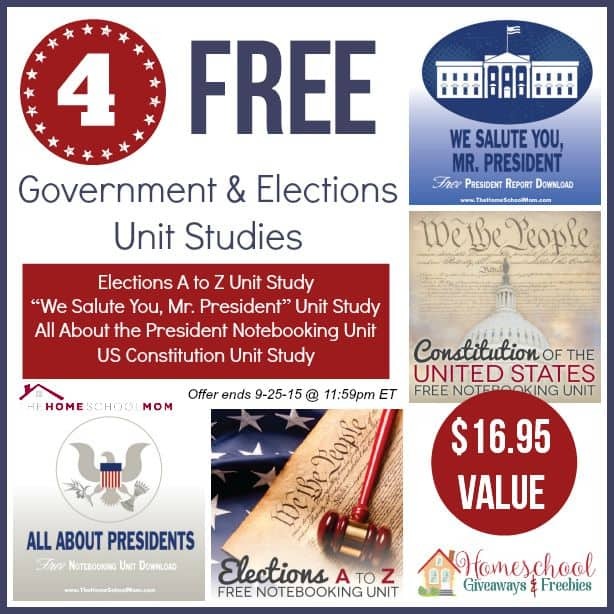 The Homeschool Mom is generously offering these 4 unit studies to you for FREE! 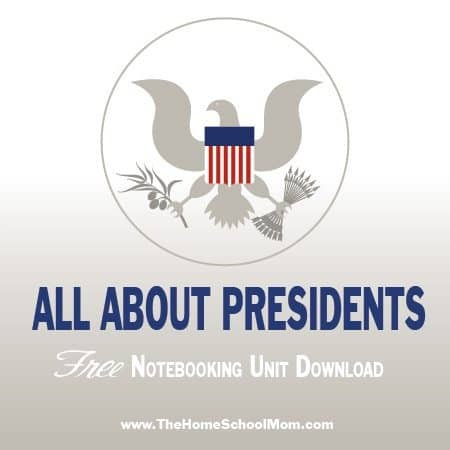 All About Presidents is a notebooking unit that can be used to research and report on the office of the President of the United States. 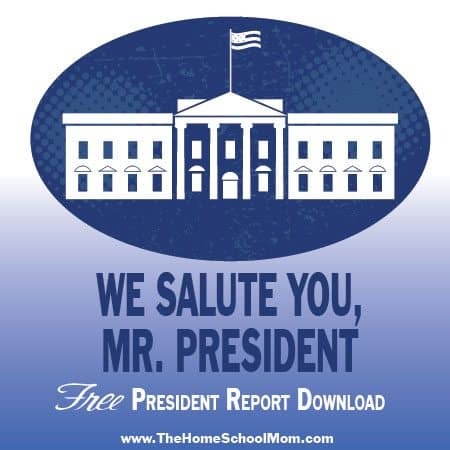 Includes answer key. 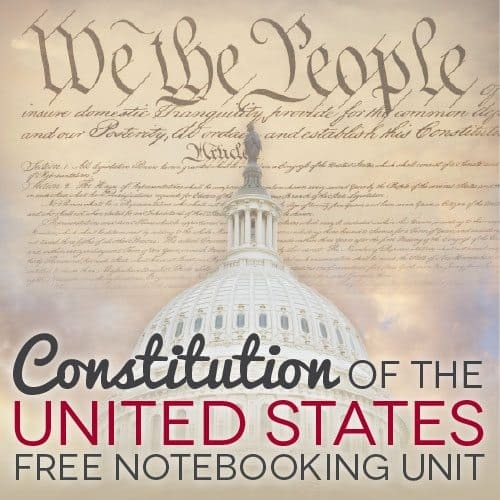 “We the People of the United States, in Order to form a more perfect Union, establish Justice, insure domestic Tranquility, provide for the common defence, promote the general Welfare, and secure the Blessings of Liberty to ourselves and our Posterity, do ordain and establish this Constitution for the United States of America.” So begins the Constitution of the United States of America. 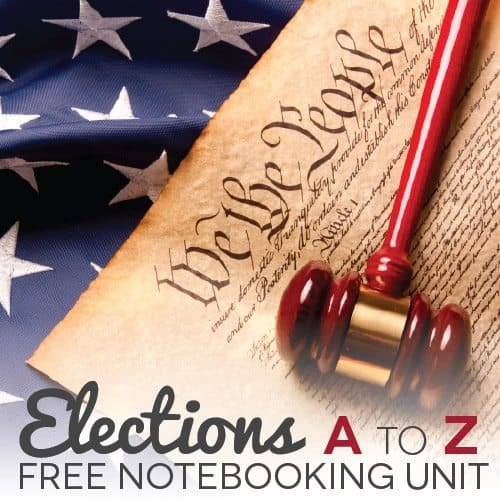 This notebooking unit introduces the document, the Republic, and the day chosen to honor our Constitution. Includes answer key.